Having spent one-week dining in several restaurants in Reykjavik, I can now honestly say, you really can’t have a bad meal here eating traditional Icelandic food. 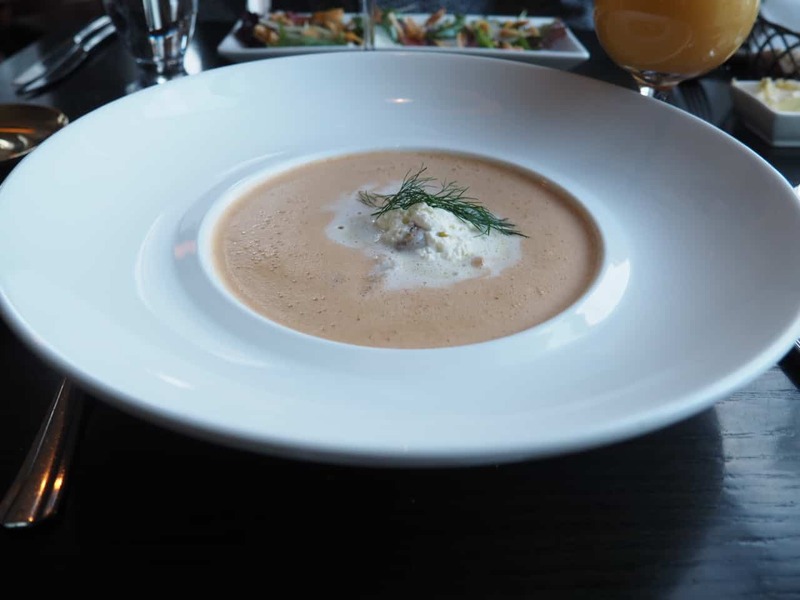 After our amazing experience with the Wake-up Reykjavik food tour, we were so anxious to take in the best meals that have made Iceland such a foodie destination! After some research and local recommendations, we decided on one of the most well-respected restaurants in the city………Lækjarbrekka. 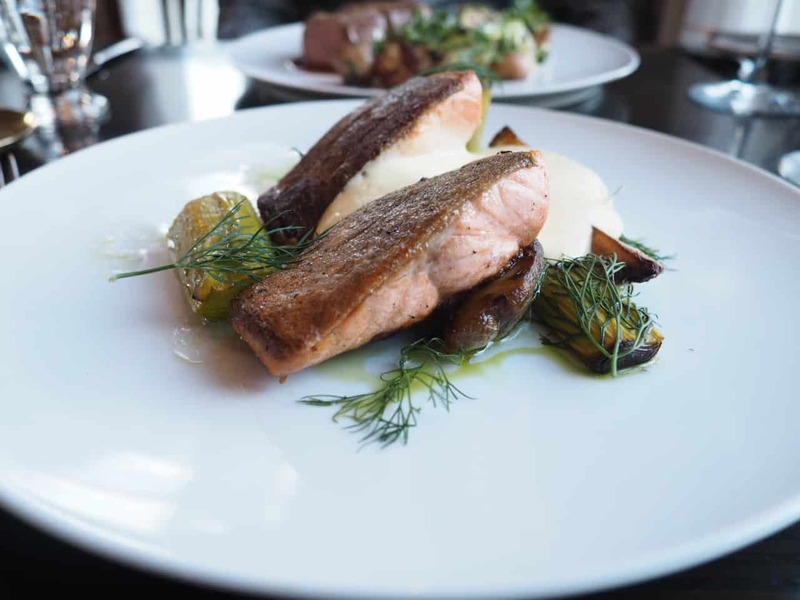 This fine dining institution has been a favourite of Icelanders since the 80’s serving traditionally prepared meals. The restaurant is located right in the center of downtown in a classic house with black siding and a red roof built in 1834! The interior is cozy and charming and so was our welcome by the very friendly staff. As with many restaurants in the city, the interiors are always meant to be like you’re a guest in someone’s home and it really felt like that. On the menu, you will find the absolute classic recipes of Iceland that have been passed on for generations. Crafted from the finest and freshest local ingredients, there are so many tempting choices and something for every palate. We decided on the two most celebrated dishes of the lobster soup and smoked haddock. We started the meal with the sourdough bread and butter that is our new favourite of all time…not kidding, this bread with the creamiest, tastiest butter is the best we’ve had! …and so addictive. Next, we chose two appetizers recommended by the waiter, the lobster soup, and smoked haddock. The presentation was exquisite and the preparation perfect. Our main courses arrived with the same impeccable presentation that looked so beautiful and tempting. My Arctic char had crispy skin with the most tender, flaky meat that was heaven. This is one of my favourite fish choices but hard to find on menus except here. Like the salmon and haddock in all of Iceland, the freshness and quality and of course taste is so hard to beat. My husband’s fillet of lamb dish looked so good we decided to share and it was so tender with such a delicate flavour, not gamey as you might expect. We found that across the city, each cut of lamb we tasted was so flavourful yet without the overpowering gaminess. 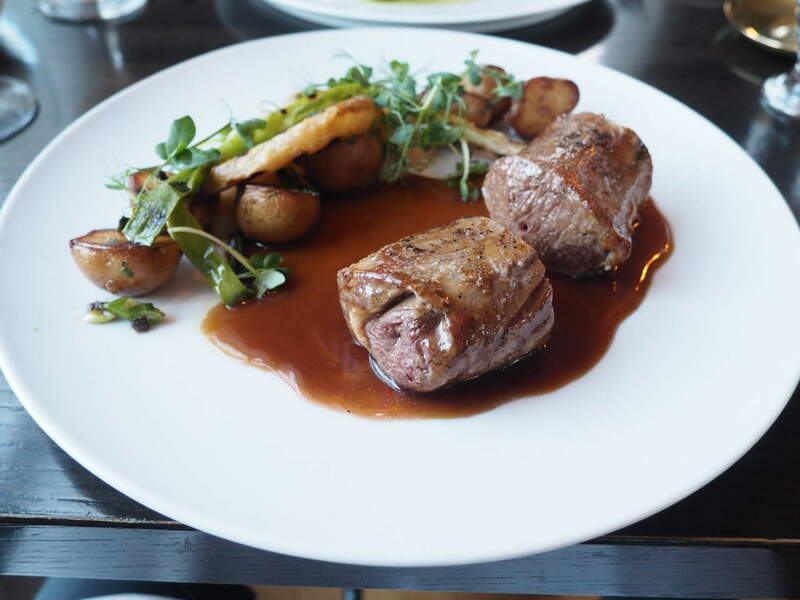 This is the dish that I would recommend to anyone trying Icelandic lamb for the first time or wants to try the true natural taste of grass-fed lamb. Lækjarbrekka restaurant is truly an institution in Reykjavik and has stood the test of time simply because of it’s consistent quality and attention to detail… It sounds cliche, yes, but there is a reason why even the locals choose this restaurant for special occasions and family functions. 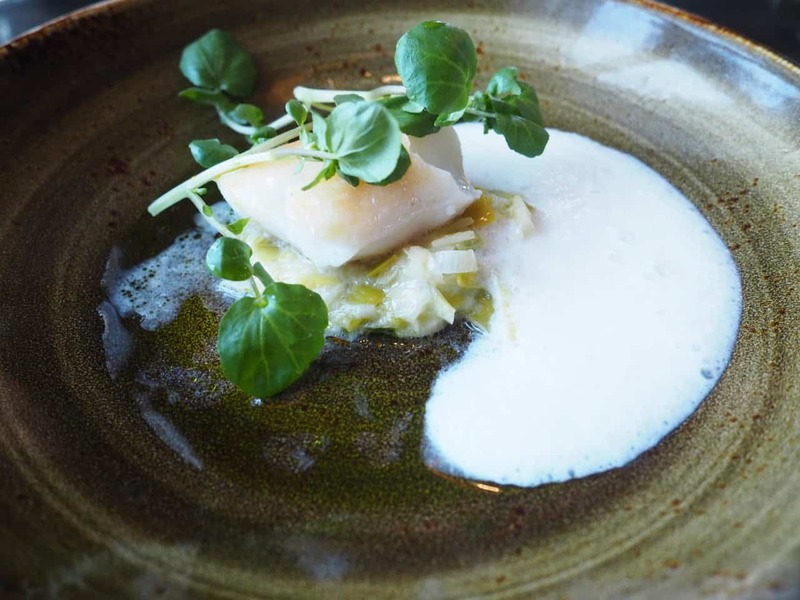 We found our meal to be one of the best in Iceland and a truly memorable one. 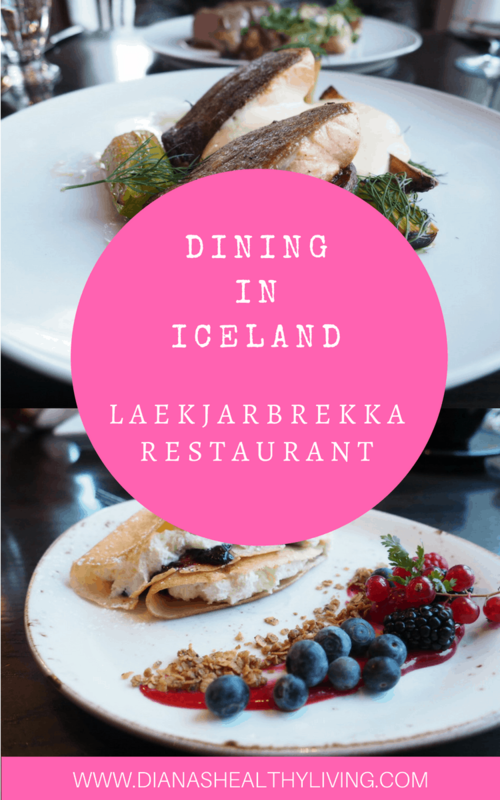 Your trip to Reykjavik is not complete without visiting this restaurant for a wonderful meal. Check out all the reasons why you should visit Iceland in March. The food looks incredible Diana. Both your eye-popping images and vivid descriptions help me taste these dishes! 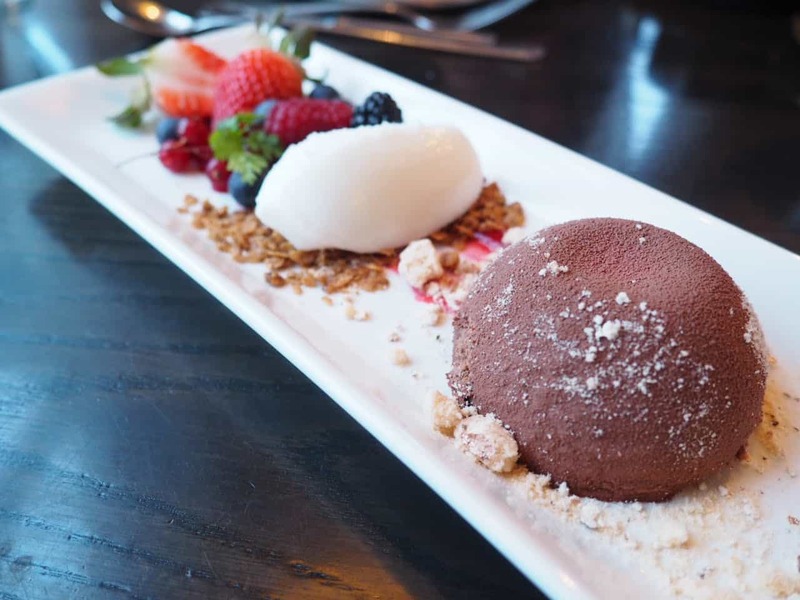 The desserts look especially delicious. Count me in for 4 Icelandic pancakes LOL. Good deal being in a cozy setting too. Feeling like I’m eating in someone’s home helps me chill and genuinely enjoy a meal. 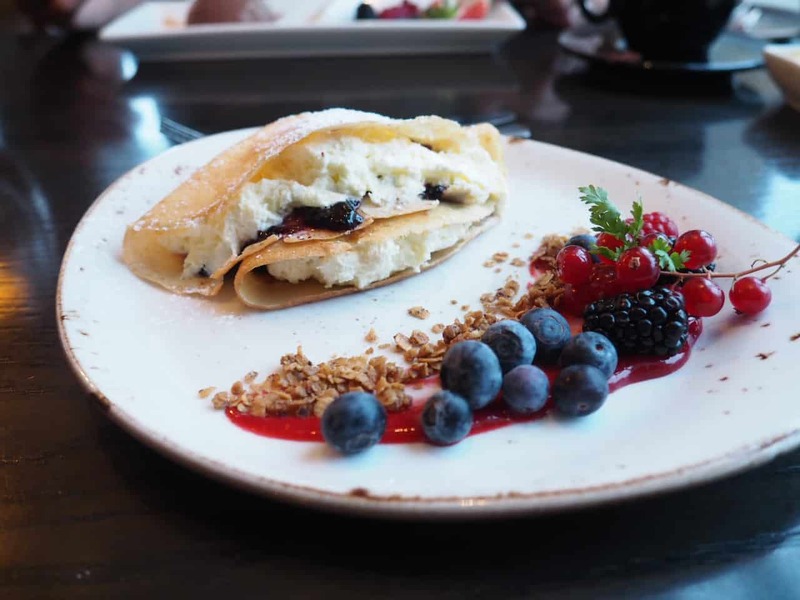 The Icelandic pancakes were delicious. Okay, I am craving them now.